There is no reason this team should miss the playoffs. Damian Lillard and CJ McCollum are one of, if not the best 1,2 combo in the league. I doubt that they’ll improve upon those 49 wins, but Damian Lillard has improved seemingly every year, so it’s not completely out of the question. However, they were bounced in the first round of the playoffs by a New Orleans team who just shut them down. They brought in just about no extra help for Lillard and CJ. Their big free agent signing was who? Seth Curry? Is that a joke Portland? I feel really bad for Dame and CJ…The 49 wins got them the third seed in the West last year which was kind of fluky since the 9th seeded Nuggets only had three less wins. Another early playoff exit seems likely. It’s Damian Lillard. He’s the man and a safe bet to be a first round pick in most leagues. If you can get him at the turn of the second round, God bless you. He is coming off his two best seasons as a pro, so his career arc is right there in his prime. His only caveat is his lack of D stats and slight FG% drain, but this could be his best season as a pro. Backing him up will be Seth Curry, who is probably the fourth most interesting fantasy option on this team, which as boring as that sounds could be a value. He missed all of last season but, if you recall two years ago, he averaged a line of 2/12.8/2.6/2.7/1.1/0.1/1.3 on 48.1% FGs and 85% FTs. That looks like a poor man’s Gary Harris to me! I doubt he’ll come close to those numbers with Portland, but he could carve out some kind of sixth man role. Wade Baldwin could mix in with some minutes, but won’t be a fantasy asset. CJ McCollum is a nice scorer and number two option in Portland. He’s your typical safe pick in fantasy. Should be around a third/fourth rounder. He’s not much more than a scorer though, so you’re going to have to offset his lack of D stats later. His numbers regressed a bit from ’16-’17 last year, so a bounce back is possible. I would say somewhere between the last two seasons is where he should end up. He has played at least 80 games in the last three years, which is a positive as well. They brought in Nik Stauskas… Whoop-de-do Basil! The more interesting guy is Anfernee Simons, whom they drafted with the 24th overall pick. He’s 19 years old and is one of those non-college players who played for the IMG Academy. As with European players, I can safely say I’ve never watched him play in a game outside of Summer League. He could be someone to keep an eye on, but you’re not drafting him. Al-Farouq Aminu is a solid player in real life, but for fantasy his percentages stink. He does contribute in boards, threes, and steals, with a sprinkling of blocks, but he’s not worth it to me. Zach Collins and Meyers Leonard will log most of the backup minutes at the PF/C spots, but neither should be relevant for fantasy. Leonard has been a major bust for them sadly. His percentages are good, but he just doesn’t do enough to be a major contributor. I could see him going to the Spurs and turning into a valuable piece. Jusuf Nurkic is a very interesting player. On a punt-free throws team he has great value, but if you have a “normal” team where you try to win other categories, he can be tricky to build around. He turns it over a lot for a big man, so you will have to compensate for that as well. If he ever improved his free throw shooting, he could be a monster because his D-stats are very nice: 1.4 BLKs and 0.8 STLs last season. This is a fun team to watch if you own Lillard, McCollum, or Nurkic, but outside of those three there isn’t much to like for fantasy. They are like the anti-Nuggets in that regard. 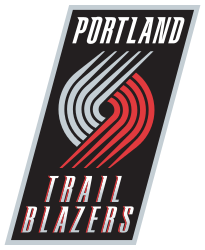 There will probably be major changes in Portland soon because this team is destined for just being above-average unless they add a big free agent. Day after the draft, 14 team league. I am quite happy overall but not sure if it makes sense to have 4 Atlanta Hawks players, it just happened that way… I would right now consider picking up Poeltl instead of Bell. Different options are: (C) Portis, Monroe, Adebayo (Others) Lyles, Carroll, Miles Bridges, James Johnson, Osman, Marvin Williams. Since I might seek to trade Trae Young, what are your thoughts on PGs Ntilikina, Melton, Derrick, White, Dj Augustin,Clarkson, Gilgeous, Rose or Mason? Think I’d go james johnson or Osman over Bell. Out of that group if you trade Young, I like White or Gilgeous for their upside. Thanks for reading!